Beijing – Accused of adopting “rough and oppressive” religious policies in Tibet, China today refuted the criticism and underlined that there was nothing wrong in its attempts put up the portraits of Mao Zedong and other Chinese leaders in Tibetan temples. Addressing questions on the Tibet issue, a top Chinese official refuted criticism that recurring suicides by Buddhist monks in Tibet was due to China’s “rough and oppressive” religious policies in the Himalayan region. Commenting on the attempts by the ruling Communist party cadres to install portraits of Mao Zedong and other Chinese leaders in temples in Tibet, Zhao Qizheng, spokesman for the annual session of National Committee of the Chinese People’s Political Consultative Conference (CPPCC) said there nothing to be “accused” about it. “The portrait you mentioned is a picture which commemorates the 60th anniversary of peaceful liberation of Tibet. In this picture the four leaders, (Mao Zedong, Deng Xiaoping, Jiang Zemin and Hu Jintao) that you mentioned are portrayed”, he said. “Therefore I do not think it is anything to be accused of. Rather the steps taken by TAR officials was welcomed by the local communities”, Zhao said at a nationally televised press conference on the eve of the annual session of the CPPCC, which is a advisory body comprising of over 2,000 nominated members. The CPPCC formally begins its meetings tomorrow. 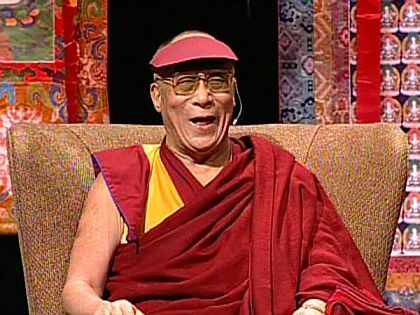 Seen as an attempt by the Chinese officials to gradually open up to the national and international media, Zhao entertained the question on Tibet, which in the recent months dominated the headlines all over the world with the periodic suicides of Buddhist monks demanding the return of their exiled spiritual leader, the Dalai Lama. So far 22 monks and nuns have attempted self immolations. Zhao denied that the situation had turned serious in Tibet due to the oppressive religious policy followed by the local officials to maintain social order in the Himalayan region. Declining to answer directly to a question whether China would ask to the Dalai Lama to make an appeal to stop the suicides, as he was on record that he would not encourage the self immolations, Zhao said the Tibetan spiritual leader actually applauded the suicide attempts. “According to what I have heard, he publicly applauded the courage of these people who set fire to themselves,” he said. Tibet is expected to figure in the deliberation of China’s top legislatures, the National Peoples Congress, (NPC) and CPPCC. Reports from Tibet said besides strengthening government controls on monasteries, Chinese officials also tightened monitoring of internet and mobile services in Tibet and a number of Tibetan prefectures. The Government has also said it would put down any separatist activities. Tibetans were being held in makeshift detention centers in Lhasa and other areas, including some set up at an army base training center . 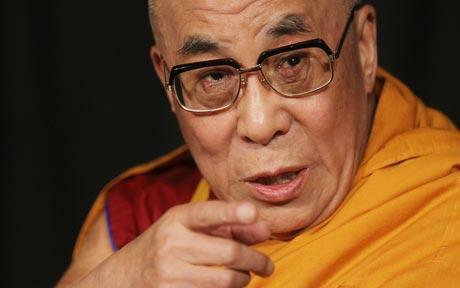 BEIJING — China has detained and forced into re-education classes hundreds of Tibetans who went to India to receive religious instruction from the Dalai Lama, a U.S.-based human rights group said. It said the detainees had recently returned from Bihar, India, where they had attended lectures with the Dalai Lama, the Tibetans’ exiled spiritual leader who fled the Himalayan region in 1959 amid an abortive uprising against Chinese rule and is reviled by Beijing. Liu was asked by a reporter to comment on the Human Rights Watch report but didn’t directly respond to the allegations and made no mention of mass detentions. The violence has highlighted anew what Tibetan activists say is the government’s failure to win over Tibetans and other ethnic minorities through policies to boost economic growth and incomes while increasing police presence and controlling religious practices to deter displays of separatism. January 22nd, 2012, the eve of Chinese New Year. 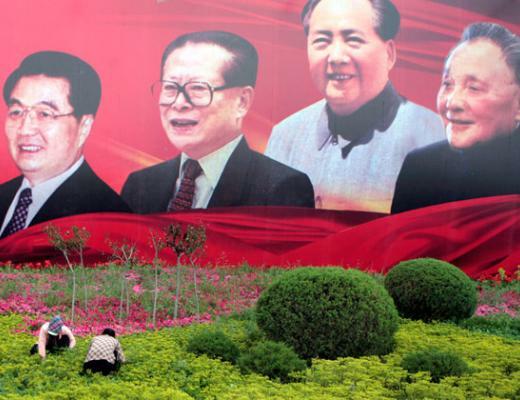 Chinese officials in the Tibet Autonomous Region held a ceremony to unveil a portrait of four Communist leaders: Mao Zedong, Deng Xiaoping, Jiang Zemin and Hu Jintao. They go on to state that they will send these portraits, as well as Communist flags, to villages, homes, and temples in the region. It’s estimated that one million of these items have already been sent. Chair of the Chinese Social Democratic Party, Liu Yinquan, believes the Chinese Communist Party is trying to use its symbols to replace those of traditional Tibetan Buddhism. In December 2011, authorities in Tibet introduced the “Nine Must-Haves” policy. 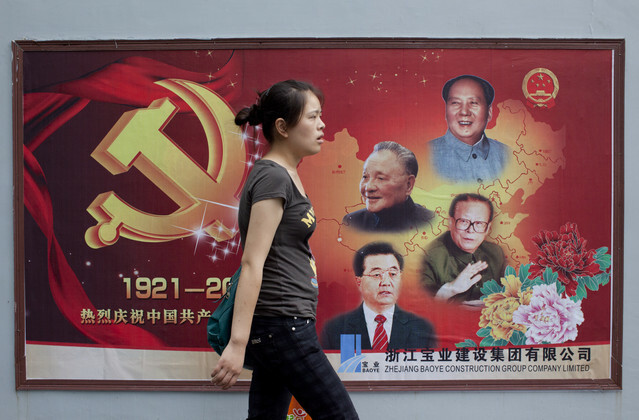 It dictates nine items that all temples must display or carry portraits of Communist leaders, the Communist flag and a copy of the state-run People’s Daily. On the Lunar New Year itself, and just one day after the portrait ceremony, Chinese forces opened fire on Tibetan protesters in a Tibetan region of Sichuan. Recent clashes have left dozens of people wounded, with reports of several deaths. The Chinese regime will close Tibet from February 20th until March 30th. That’s during the Tibetan New Year and the anniversary of the 2008 Tibetan riots, both sensitive dates for the regime. China is providing funds to Nepal to build a $3 billion (£1.9bn) ‘Buddhist Mecca’ to attract millions of pilgrims and spiritual tourists to the birthplace of the religion’s founder Gautama, Lord Buddha. 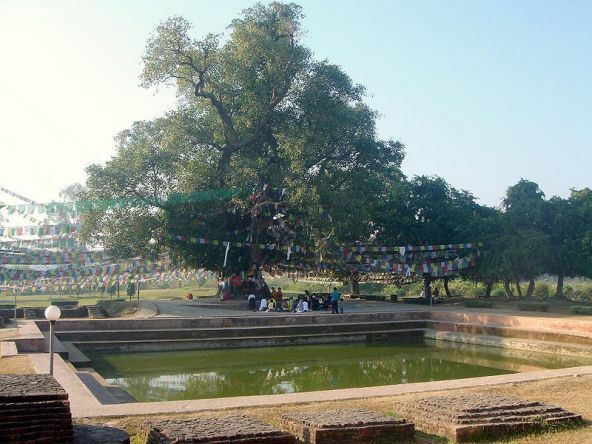 Lumbini is a Unesco world heritage site that attracts half a million pilgrims every year from China, India, Japan, Sri Lanka and Thailand to its sacred ponds, gardens and temples. Planners hope to build an airport, hotels, convention centres, new highways, temples and a Buddhist university at the site on Nepal’s Western border with India, where Lord Buddha was born about 2,600 years ago. The scheme is supported by a Chinese government-backed foundation and has brought together an unlikely alliance of Nepali government ministers, Prachanda, the former prime minister and leader of the Maoist insurgency, and Paras, the former crown prince, whose family Prachanda ousted from power. It also has the support of Steven Clark Rockefeller, the heir to the Rockefeller dynasty. According to Nepali officials devout Buddhists spend more time at the other three main pilgrimage sites in India because Lumbini does not have the infrastructure necessary for longer stays. Sarnath, in India’s Uttar Pradesh, where Buddha first taught “dharma” or natural law, Bodh Gaya in Bihar, where he found enlightenment under the Bodhi tree and Kushinagar where he found “nirvana” in death, are all drawing increasing numbers of high-spending tourists, and Nepal’s government wants to increase its share of the spoils. China and Nepal signed an agreement earlier this year to develop the site, and the Beijing-based Asia Pacific Exchange and Co-operation Foundation has launched an ambitious campaign to raise the $3 billion required for the site to be transformed into the world’s leading Buddhist pilgrimage site. Prachanda has made a number of fund-raising trips to Singapore and Malaysia, and hopes the project will create new jobs in Lumbini, a poor area. China’s involvement in a project close to the border with India has caused discomfort in New Delhi, where the government has traditionally regarded itself as a patron of the Buddhist world through its hosting of the Dalai Lama and the Tibetan government in exile. BEIJING (Reuters) – Tibet’s exiled spiritual leader, the Dalai Lama, does not have a right to choose his successor any way he wants and must follow the historical and religious tradition of reincarnation, a Chinese official said Monday. Capitalism “brought a lot of positive to China. Millions of people’s living standards improved,” he said. The Dalai Lama, 74, giving a series of lectures at the Radio City Music Hall in central Manhattan until Sunday, struck a strikingly optimistic note in general, saying that he believed the world is becoming a kinder, more unified place. Anti-war movements, huge international aid efforts after Haiti’s earthquake this year, and the election of Barack Obama as the first black president in a once deeply racist United States are “clear signs of human beings being more mature,” he said. Although China, which forced him to escape for his life in 1959, is loosening up, he had harsh words for a communist leadership that he said still seeks to rule by fear. As Chinese become richer, “they want more freedoms, they want an independent judiciary, they want to have a free sort of press,” he said. Tibetan monks are forced to cremate bodies as the death toll from Wednesday’s earthquake continues to climb. 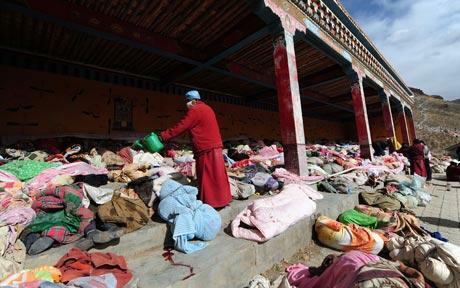 The number of bodies at the Jiegu monastery contradicts the official death toll. The corpses are piled three-deep at Jiegu’s Tibetan Buddhist monastery, perched on the mountain above the earthquake-ravaged town. “More than a thousand bodies were brought here,” said Ge Laidanzeng, a 20-year-old Tibetan lama at the monastery. By the side of the monastery, a bright yellow hall open to the air on one side and painted with pink lotuses, was filled with corpses. Normally used for mass rituals, this hall was the only place large enough to hold so many dead. “Three hundred have been claimed by relatives, the others we will take care of,” said the young monk. As he spoke, a family clambered over the pile of bodies, each shrouded in cotton or tarpaulin, eventually claiming their dead mother and loading her body into a minivan. To one side, thirty lamas chanted sutras, as they have constantly since the bodies began to arrive. More monks swathed the bodies in Tan Cheng prayer flags. Traditionally, the dead would be given sky burials, their bodies dismembered and then scattered on the top of the mountain for vultures to eat. Instead, the dead will be cremated on Saturday after a prayer service by the head of the Aka monastery, a Living Buddha. The number of bodies at the Jiegu monastery contradicts the official death toll from Wednesday’s quakes, the largest of which measured 7.1 magnitude, according to the China Earthquake bureau. On Friday, the official death toll climbed to 760, with a further 243 people missing and 1,174 severely injured. In residential parts of Jiegu, some survivors were being pulled out of the rubble on Friday, three days after the quake struck. But they were hugely outnumbered by corpses. Rescue teams have struggled to reach Jiegu, which lies 12 hours from the nearest major airport and 10,000ft up on the Tibetan plateau. On Friday, the first teams with sniffer dogs, heartbeat detectors and fibre-optic cameras began scouring the wreckage. Li Xiaojun, 22, a firefighter and Alsatian handler, said that his team from the north-western province of Shandong, and their dogs, were struggling to adapt to the altitude after arriving overnight. At the Saikang monastery, on the fringes of Jieshu, teams of purple- robed monks were working with camouflaged soldiers to search for the hundred monks buried underneath. Behind him, Chinese soldiers held up a deer’s head and a belt of bullets they had unearthed. In another ruined house nearby, a small portrait of the young Dalai Lama had been concealed among the beams. An exodus has begun in Jiegu, with many families travelling on motorbikes, lorries and buses to stay with relatives elsewhere. “All our possessions were destroyed, we will be back, but it is too cold to stay here without food and warm clothes,” said Jiang Junning, 30, who was on his way to the provincial capital of Xining. For those left behind, the situation is grim. Despite the huge convoys of aid from the Chinese government, many families said they lacked food, water and medicine. Ten thousand survivors, 90 per cent of whom were Tibetan, had set up camp on the race track outside Jiegu. However, only 16 doctors were on hand from the Red Cross to treat them. “We are seeing 1,500 people a day, but we don’t have the resources or medicine to travel around the tents,” said one doctor. “When we clean their wounds, they get re-infected by the dust and the unsanitary conditions,” he said, warning that the chance of infections and disease was severe. His wife lay still in the corner of the tent, a swollen and infected foot visible on the earth and straw floor. “We don’t have medicine for her, and we don’t have enough food. She has not produced any milk to feed the baby for two days, we are desperate,” he said. Outside, aid convoys were slowly rolling in, but too late for some. Hundreds of monks at the camp were already chanting the first burial rites for ten more dead, wrapped in cloth and loaded onto vans for the trip up to the Jiegu monastery.